In many areas Hilograss is considered an invasive weed. 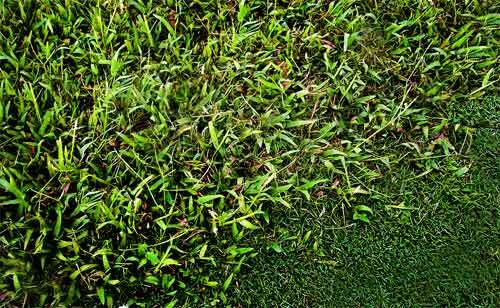 Paspalum Conjugatum, or more commonly known as Hilograss, is a graminoid (a grass or grasslike plant) with green foliage and yellow flowers of the genus Paspalum. It has a rapid growth rate and a height of 3' at maturity. 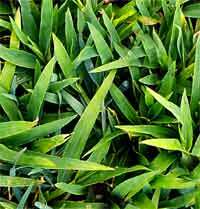 Hilograss' duration is perennial which means it will grow year after year. Its active growth period is year round, blooms during indeterminate, is tolerant of shade and is routinely available commercially. Paspalum Conjugatum or Hilograss?s floral region is North America US Lower 48, Hawaii, Puerto Rico and The Virgin Islands, specifically in the states of Alabama, Florida, Hawaii, Louisiana, Mississippi, Texas and Utah.